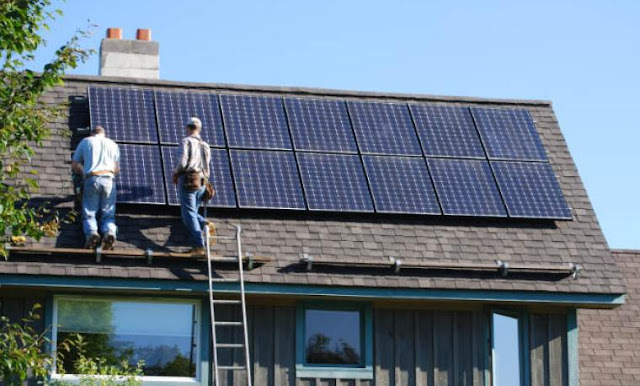 If you’re a homeowner and you’ve recently installed a solar energy system or are considering doing so, it’s important to know how to get the most out of the system so you can conserve energy and take advantage of the sun’s light for as long as possible. Here are some steps to maximize your return on a home solar energy system. It’s essential that your solar energy system is professionally installed. When the solar panels are installed correctly, you could save a considerable amount on your energy bill. If the panels aren’t installed the right way, they won’t absorb energy correctly, and you could end up paying for panel repair and more electrical energy. Check to ensure that the installers have credentials, and if you see anything wrong with your solar panels, contact a professional right away. The solar panels should be installed where they will get the most exposure to the sun and should be positioned toward the sun. Work with your installer to determine the best places for installation, since you’ll have to make sure the solar panels get enough light even during the fall and winter, even if the placement isn’t aesthetically pleasing. Keep in mind that solar panel installation can not only save you money, but it’s healthy for the environment. You should know what the wattage needs are for your home before you have solar panels installed. The amount of wattage your house requires will also determine the amount and size of the panels. You can determine the wattage based on the months of the year when you use the most energy, which is usually during the winter. Sun exposure is also considerably lower during this time. When you plan for solar panel installation based on your winter needs, you’re likely to have more than enough solar power for the remaining seasons of the year as well. To ensure that there is adequate energy in your home, insulate the windows and doors. Insulation strips are quite effective in trapping heat in your home so you won’t have to use excess energy. It’s also best to keep the doors and windows closed as much as possible, especially in cold weather. In addition to solar panels, use electrical appliances that are constructed to save energy, such as refrigerators and washing machines. Check for the EnergyStar rating on appliances. These items can be costly initially, but will end up saving you energy and money in the long run. Make sure your solar panels are in good condition at all times. Solar panels are pretty low-maintenance after they are installed, so just make sure the panels are in the right position and free of dirt and debris in order for them to function properly. If you live in an area that gets lots of snow, remove the snow from the panels as soon as possible. If necessary, trim the trees around the panels to ensure that they can easily pick up sunlight.